Skipper A Clipper Yacht Charter & Boat Hire Pittwater & Hawkesbury River are one of Sydney’s most established and respected boat charter / hire businesses. 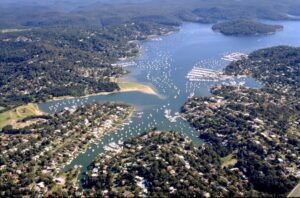 With a fleet of Yachts and Power Boats to cater for individuals, families, small and large groups you can be cruising the beautiful waterways of Pittwater, Sydney and the Hawkesbury River as a skipper or laid back and let one of our experienced skippers do the sailing for you. Skipper A Clipper Yacht Charter & Boat Hire also run a Sailing School & Power Boat School for those who wish to learn the finer points of boating. Below you will find our range of Yachts & Power Boats charter / hire rates & prices. There is also the opportunity for those who wish to invest in a boat to join a syndicate with 4 others and become a boat owner without all the responsibility for the care and maintenance of the boat. This is probably the most cost efficient method for boat ownership with costs being shared between 5 owners instead of one. Your boat will be moored , cleaned, maintained and serviced by Skipper A Clipper so all you have to do is walk on and walk off. 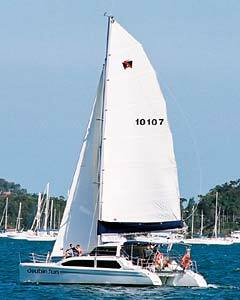 A 40 foot catamaran family cruiser with capacity for 12 passengers and sleeping quarters for 7. 42 footer with sleeping capacity for 7. A 42 foot yacht with sleeping quarters for 8. 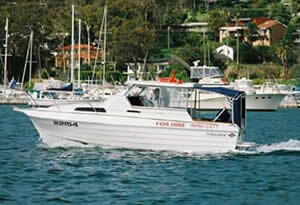 34 footer with 3 double cabins and an 8 passenger capacity. 32 foot yacht with sleeping for 6. 34 footer with sleeping for 6. 29 footer with capacity for 6 passengers. 39 foot yacht with 3 double cabins. 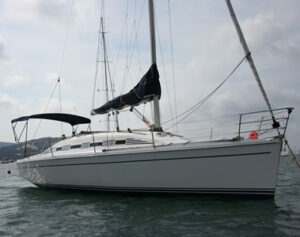 33 foot catamaran with sleeping facilities for 10. 22 foot motor boat with capacity for 8 passengers. Luxury accommodation for 10 people. For all enquires, bookings and investment information contact Skipper A Clipper on (02) 9979 6188 or see them at Gibson Marina 1710 Pittwater Road Bayview NSW.